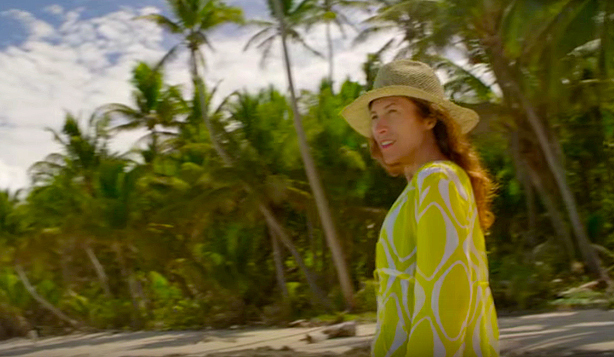 The creator behind Turtle Talks, a web series project she launched on Turtle Island in Fiji, Monica invites leading thinkers and doers to the private island eco sanctuary to share ideas and solutions for the world’s current and future environmental and human issues. Inaugural talks included five clean energy experts who led conversations about envisioning a future in which we all live with 100% clean and renewable energy. Believing that “you only get to a future if you can imagine it,” Monica begins each talk with, as she describes it, “the simple premise of the inevitable. That one day humanity will advance to solve our greatest problems.” It’s all rooted in her firm conviction that it is not about if we get there, but how fast we get there. 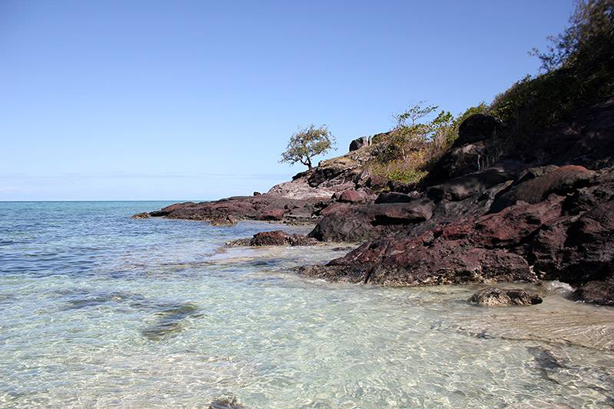 The niece of eco-visionary, Richard Evanson Sr. who purchased the island in 1972, Monica grew up with her uncle and often visited the formerly uninhabited island in the Yasawas in Fiji, the location for the filming of Randal Kleiser’s 1980s version of The Blue Lagoon with Brooke Shields. Moved by the island’s beauty, Monica began to contemplate how its special energy could inspire people and be a catalyst for change. Collaborating with a team of talented storytellers and filmmakers who share a common creative vision, Monica launched Turtle Talks–spirited discussions with people who are passionate about life and appreciate our planet’s tremendous beauty and humanity. Having arrived on the 500-acre island–then known as Nanuya Levu–with little more than a generator, refrigerator, and a tent, Evanson has transformed it over the years into the pristine, exclusive enclave it is today. Turtle Island hosts just 14 couples at a time, but it is more than a luxury resort. Once barren having been overgrazed by wild goats, the island now has more than half a million trees–100,000 of them Honduran Mahogany–which Evanson planted over a 40 year period. In addition to adding to the island’s existing natural beauty, the trees re-establish the island’s indigenous forests, prevent soil erosion, create windbreaks, and on a grander scheme, encourage ecological biodiversity. As stewards of the island, the Evanson family has from the beginning been committed to reaching 100% sustainability. They achieved this vision in 2013 with the installation of a solar farm with 1,000 solar panels, making Turtle Island one of the first clean energy resorts in the world and the only totally solar island resort. The solar farm cuts annual costs by $250,000 and enables the island to reduce their carbon footprint, saving 220 tons of greenhouse emissions and 85,000 liters of diesel per year. In tandem with this clean energy effort, Turtle Island grows its own food on both a five-acre raised bed garden and a hydroponic one, all tended by three full-time staff. The gardens supply fresh produce, herbs, and spices for guests and staff year round. Although not every garden on Turtle Island is now totally organic, the plan is to steadily convert the continuously expanding gardens to become fully organic. Tomatoes, lettuce, herbs and more grow in the hydroponic garden. Turtle Island’s highly productive year-round vegetable garden of 152 concrete block raised beds (5 feet long x 4 feet wide x 3 feet deep) generates a bounty of crops including sweet corn, asparagus, peppers, beans, pumpkins, melons, spinach, lettuce. The resort not only recycles traditional items like glass and plastic, it also recycles elements from its natural landscape. After storms, artisans fashion the reclaimed wood of fallen trees into room furniture. Although there is no history of any Fijian villages on Turtle Island, seven villages on three separate islands surround it. The Evanson family respects, honors and emulates the island’s Fijian neighbors, partnering with them and the local government, the Nacula Tikina, in a number of mutually beneficial ways. 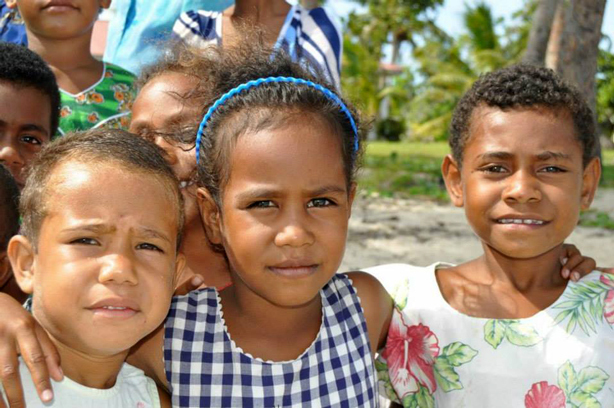 Evanson has funded education for children from neighboring islands. In addition to sharing excess produce from the island’s five-acre vegetable and herb garden with local neighboring villages, Evanson’s funded education for the children, hosts annual medical and dental clinics, and has undertaken various projects including the rebuilding of communities following cyclones. 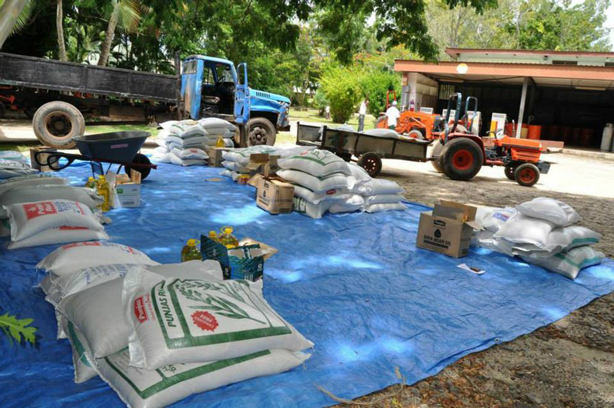 Delivery of $10,000 worth of food and supplies to 7 local villages and 1 settlement in the Fijian community. Big visions and change often begin small and local as they have on Turtle Island where benefiting the local people and celebrating their indigenous heritage and culture is integral to the island’s mission. Like the little island from which it sprung, Turtle Talks endeavors to make possible on a global level what the island does on a daily basis–spread to others its commitment to environmental integrity and offer solutions, step by step, for the greater good of the planet.